Considering purchasing the Equinox MicroPar RGBW? Have questions? Ask people who've recently bought one. Hi - is this light CE certified? Do you own the Equinox MicroPar RGBW? Why not write a review based on your experience with it. disappointed the two lights were so small. work ok in a small venue. The size fools you! It’s so bright and has multiple colours! This is truly a cool little light. Compact but very very good. Have placed two in between tow bigger cans and fits in extremely well re effects. Highly recommend. For its price this is a good light. 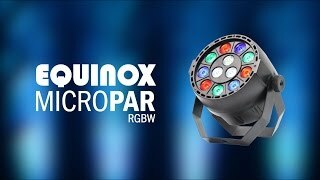 Seen a video for Equinox MicroPar RGBW online or have you own video? 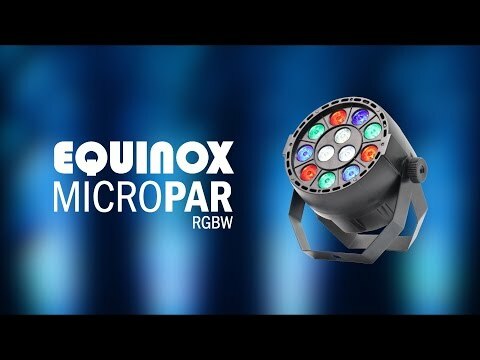 Check out Equinox MicroPar RGBW on DJkit.com!